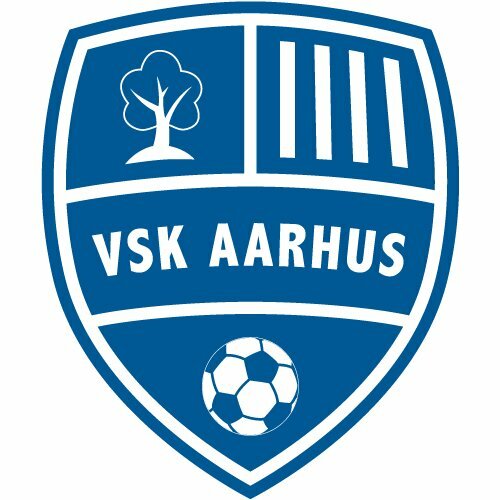 I actually added new logos for VSK Aarhus for the 17v1 pack, but for some reason used the old Skovbakken logo. Thanks for pointing it out Svart Svane. 17v3 update is available for download. The final update to the FM 2017 DVX pack contains over 850 new, updated or improved logos. 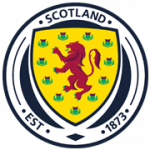 The revised logos include among others Admira Wacker Mödling, Chelmsford, Minsk, PSM Makassar, Recreativo Huelva, Shenzhen, Ternana, Vasco da Gama and VSK Aarhus crests. Are you planning to release a new logo pack for FM 2018? Yes there will be a new pack. It should be ready by late November early December. The new Serie C logo will be in. Trying to do a good one. 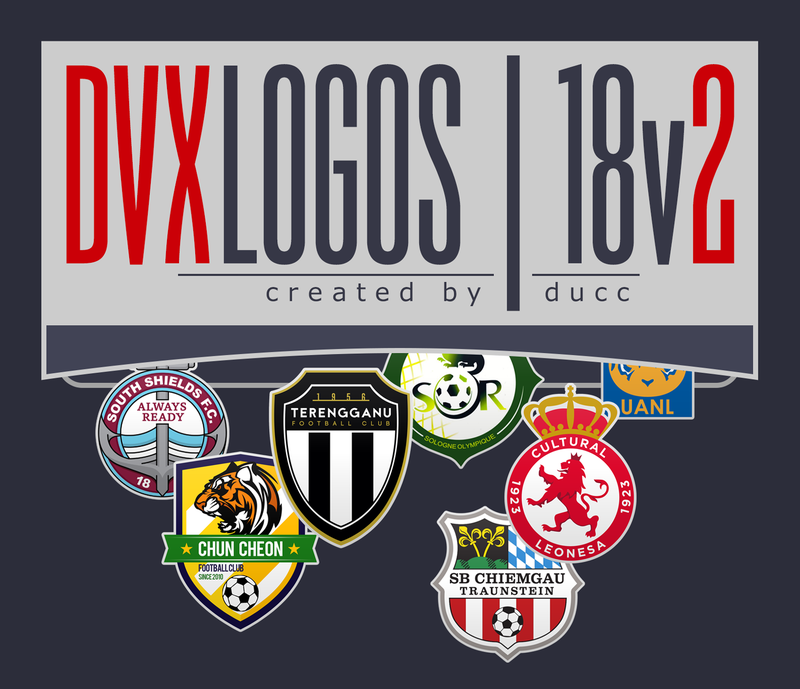 DVX Logos logopack for Football Manager 2018 is now available. More information in the first post. Used these extensively in FM17. Will defo be downloading and taking a look at these this year again. I hope you will find them apt for the purpose this time as well. Much of the work to make the new pack has gone to replacing obsolete logos, so what is going for 18v1 is that it should be reasonably well up to date. Downloaded them and fair to say I'll be using these again this year. Awesome to see a couple of my redrawn logo's made the grade for the pack as well. Super thrilled to be part of it. I thought you might check if logos of your making are in the pack after you said you were downloading it. You clearly have talent, so if there are more logos coming and they find their way into the pack, I will add your name on the acknowledgements list. Thanks for the kind words, that means a lot. As far as I understand Mega has a 5GB limit after which one must wait before downloading can be resumed. Perhaps you can download the pack later? @ducc, outstanding job as always! Bravissimo! I will highlight errors and fixes, if any. If someone has problem downloading from MEGA, I suggest to use MegaDownloader, a portable application which bypass MEGA download limits. Its great if you can point out any errors. The pack should function correctly, but its basically for certain that there are some wrong or outdated logos. This logopack is absolutely fantastic! Ok @ducc, I only spot one error in England at the moment. Thanks @Ivs, it will be in the next update. 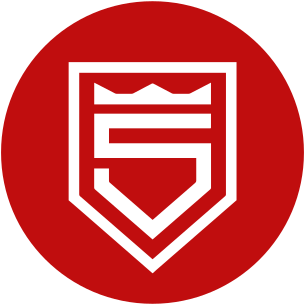 The Sportfreunde Siegen logo should already be in the pack. The Berekum Chelsea and Qäbälä badges are not - I will add them, though they may have to be recreated from scratch to maintain quality. Update to DVX Logos 18v2 is now available for download. It contains over 800 new, updated or improved logos. The link is in the first post. Thanks for pointing out the Osnabrück logo @Indietronic. It will be in the next version if the pack.